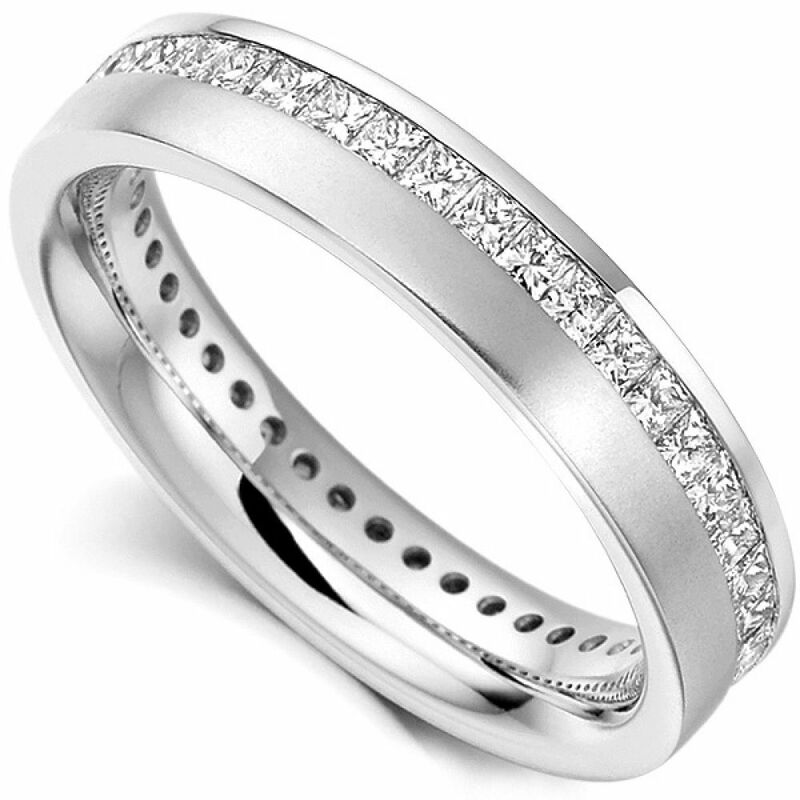 A full eternity ring with an offset channel holding a matching set of Princess Cut diamonds. 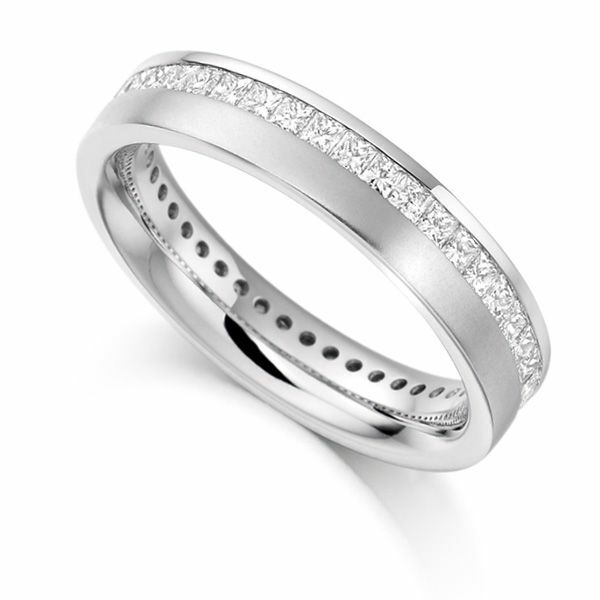 This Contemporary Eternity Ring features a full set channel of sparkling Princess Cut Diamonds. The band itself is a substantial court shape with comfort fit for everyday wear. The band is approximately 4.50mm wide with the added stunning feature of the offset channel. The Diamonds have been graded F/G in Colour for whiteness and VS Clarity appearing crystal-clear to the naked eye. Crafted in a choice of precious metals including 18ct White Gold, 18ct Yellow Gold, 18ct Rose Gold, 950 Platinum, and 950 Palladium. This stunning addition can be delivered to your door in approximately 3-4 weeks in our pristine packaging.